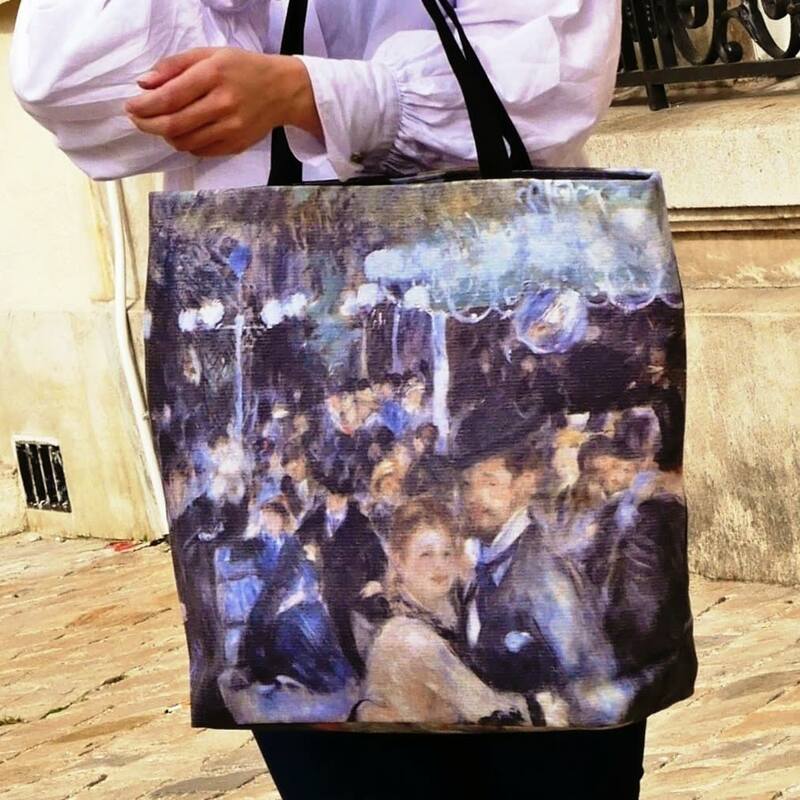 Tote bag, auguste renoir painting copy, luxury tote, casual chic trendy beach bag made in france Package shipping 48h. 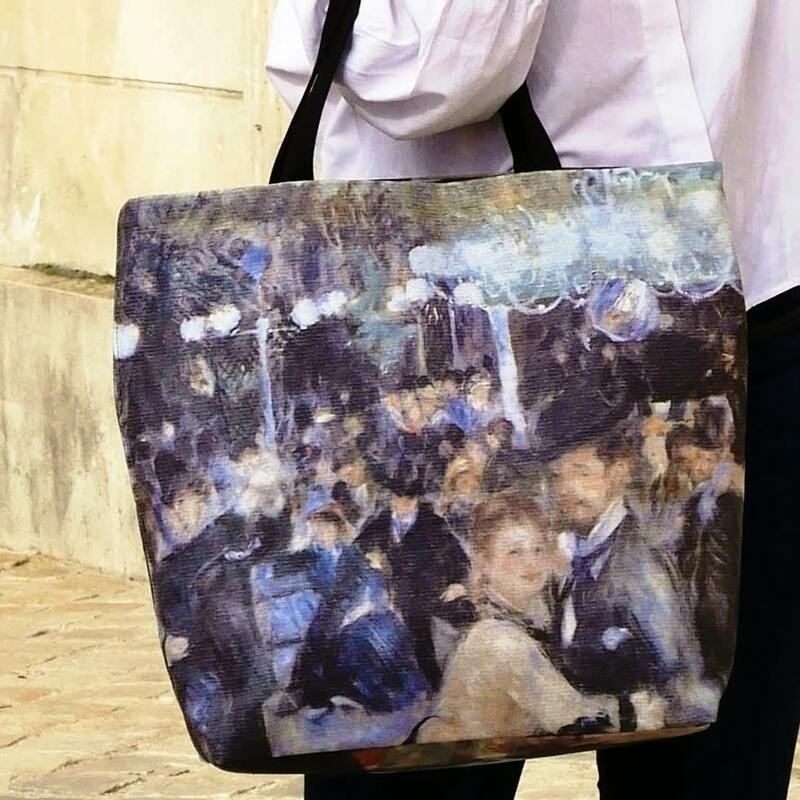 Printed canvas tote bags made from Auguste Renoir painting "Dance at le moulin de la galette" made in 1876 and exposed in Orsay museum of Paris. 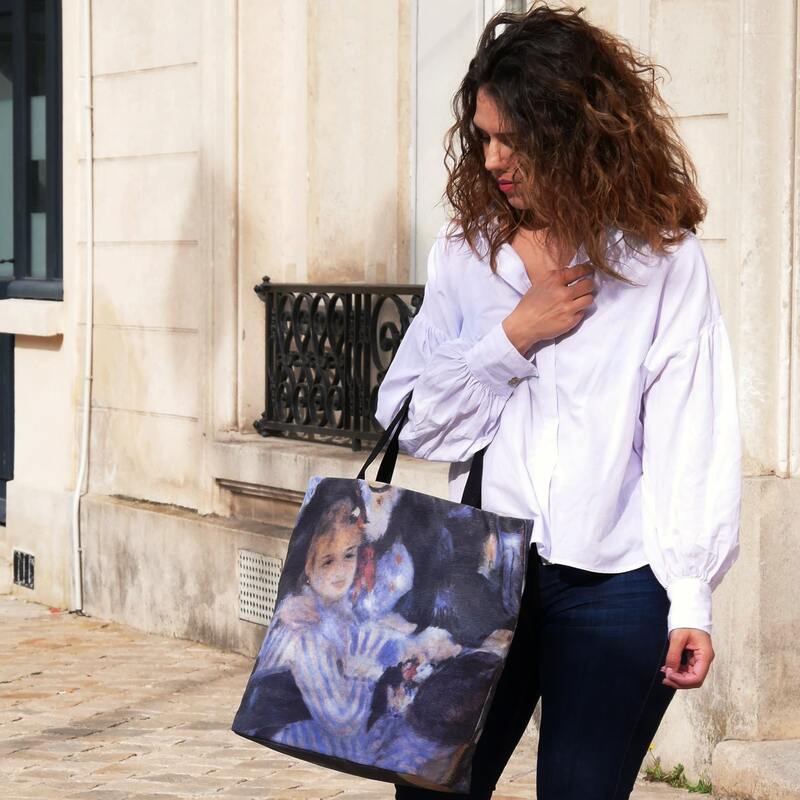 This truly solid bag is very handy and could be used in any occasions. Cleaning advice: It is perfectly washable, indeed in washing machine, gentle programe with low spin. Cold water.